Have fun while helping others at the 7th Annual Operation Turkey Round-Up, sponsored by O'Brien's Irish Pub as well as Salty Shamrock, Duke's Brewhouse, Lorraine's Place Pub, Tampa Joe's, Fox & Hounds British Pub, and many more! Last year, O'Brien's and other local businesses raised more than $17,000 for Metropolitan Ministries and thousands of families in the Tampa Bay area. Bring your non-perishable food items or cash donations to any participating locations through Sunday, November 11 any time during regular business hours. 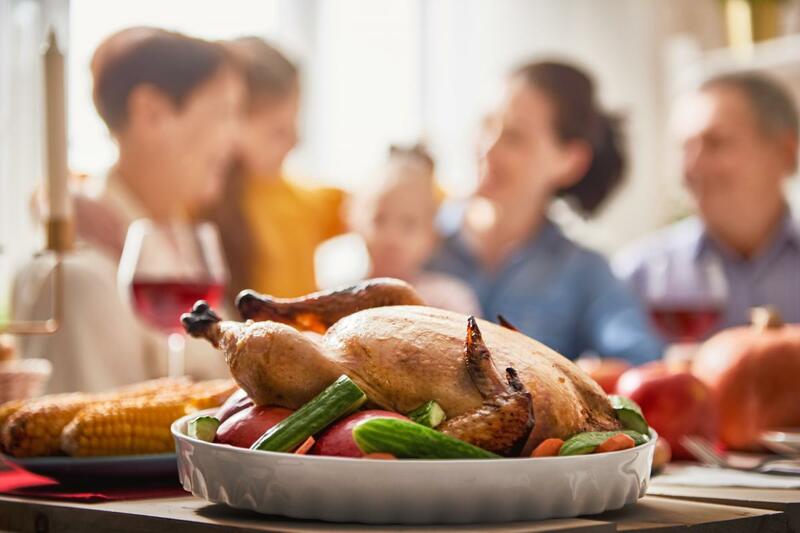 Help everyone in your community have a wonderful Thanksgiving, and then stick around for great drink specials and top-notch noms at some of Tampa Bay's best pubs. If you're in a hurry and don't have time to raise a pint or two, you can still be a HUGE help to local families by dropping off your donations at locations such as Route 60 Garage, Tuffy Tire, and Cutter's Cigar, all conveniently located in Brandon. O'Brien's Irish Pub, the driving force behind Operation Turkey Round-Up, features awesome food and beverages with traditional Irish flair and offers more than 40 big screen TVs for all of your game day plans! Founded by three Irish-American friends who deeply love Tampa Bay, O'Brien's is dedicated to forging strong ties with the community through neighborhood events and locally-driven charities. As a veteran-owned establishment, O'Brien's is especially proud to serve veterans and their needs throughout the community. 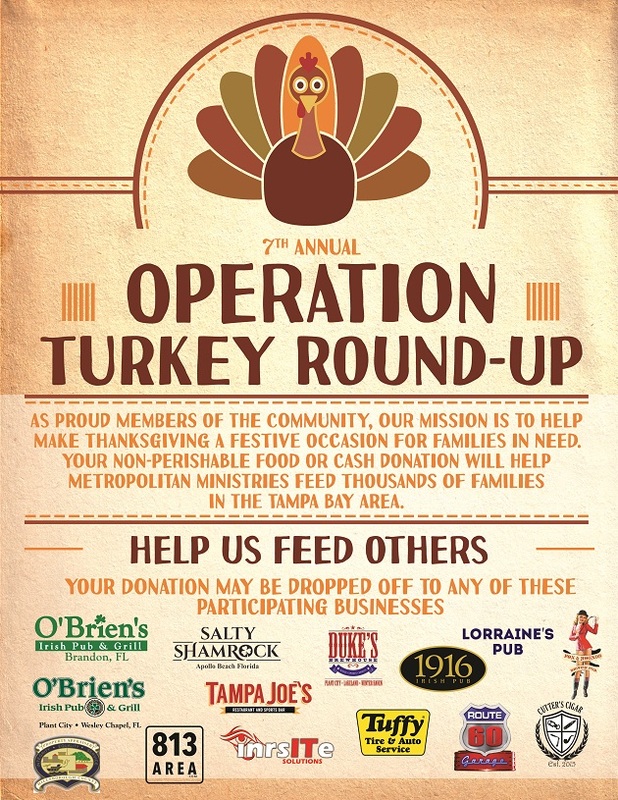 There are tons of locations participating in the 7th Annual Operation Turkey Round-Up including O'Brien's Irish Pub, so gather a sweet donation for Tampa Bay's families in need this holiday season and make a difference in your community! Looking for more ways to give and celebrate Thanksgiving in Tampa? Register on 813area today and connect to everything going on in the Bay area.